5.5" - 5 CURVED - 5 STRAIGHT. Stainless Steel. "The sale of this item may be subject to regulation by the U.S. Food and Drug Administration and state and local regulatory agencies. CARE FOR YOUR HEALTH. We accept CHOOSE THE DEAL AND COMPARE PRICES. We can match or beat all of our competitors prices. "The sale of this item may be subject to regulation by the U.S. Food and Drug Administration and state and local regulatory agencies. Located in the United States. "The sale of this item may be subject to regulation by the U.S. Food and Drug Administration and state and local regulatory agencies. Dwyer Photophilic Pressure Switch / Gauge Series 3000 NIB. "The sale of this item may be subject to regulation by the U.S. Food and Drug Administration and state and local regulatory agencies. Set Detail. Castroviejo Needle Holder. 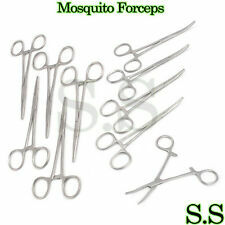 Biological Surgical Dissection Kit Stainless Steel. 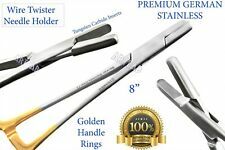 Craft Scissors Leather Upholstery Sewing Scrapbook Cardboard Fabric EMT Shears. 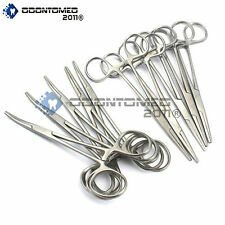 8-Piece Ultimate Hemostat Set. Our set can be used for hobby, crafts, cleaning, sewing, auto repair, doll making, etc. Its low profile allows it to reach into tight spaces and acts like a third hand with its easy, self-locking feature. Very useful around the house, car and work. High Degree of Precision and Flexibility while conducting the Clinical Procedure. R GRADE SURGICAL STAINLESS STEEL. PREMIUM GRADE STAINLESS STEEL ! Manufactured from AISI 420 Premium Grade stainless steel. TC Mayo Hegar Needle Holder 6". CARE FOR YOUR HEALTH. "The sale of this item may be subject to regulation by the U.S. Food and Drug Administration and state and local regulatory agencies. We accept CHOOSE THE DEAL AND COMPARE PRICES. Root-Tip and Dental Tooth Extracting. Extracting Forcep #845. with Gold &GREY Handle. 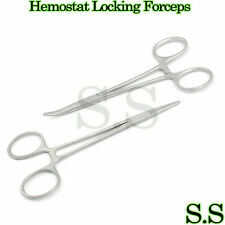 Extracting Forcep #849. with Gold &GREY Handle. Extracting Forcep #859.with Gold & GREY Handle. 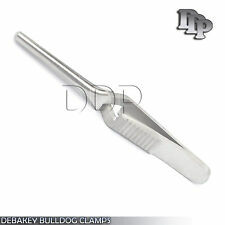 Extracting Forcep #846.with Gold & GREY Handle. Micro Castroviejo Needle Holder 7 1/4" Straight. It is easy for us to fix any problem you may have with our products or services. It is easy for us to fix any problem you may have with our products or services. (50) 3ml 23g x 1.5in. In addition Surgical Pros Incorporation is accredited toCE, ISO 9001, ISO 13485, and FDA. STAINLESS STEEL. · All Products must be autoclave before use / Reusable / Full Autoclavable. · High Degree of Precision and Flexibility while conducting the Clinical Procedure. Credit Cards Over The Phone. CARE FOR YOUR HEALTH. CHOOSE THE DEAL AND COMPARE PRICES. Stainless Steel. "The sale of this item may be subject to regulation by the U.S. Food and Drug Administration and state and local regulatory agencies. We can match or beat all of our competitors prices. R GRADE HIGH GRADE SURGICAL STAINLESS STEEL. UNLTRASONIC CLEANED. Non Slip Grip Premium Quality Handle. Polish to high Standard Finish. High Degree of Precision and Flexibility while conducting the Clinical Procedure. Product Conforms to ISO 9001, CE-Quality Mark, ISO 13485, FDA and other Quality Standards. High Degree of Precision and Flexibility while conducting the Clinical Procedure. MATERIAL: ASTM STANDARD 410 STAINLESS STEEL "FDA APPROVED STEEL". CARE FOR YOUR HEALTH. "The sale of this item may be subject to regulation by the U.S. Food and Drug Administration and state and local regulatory agencies. CHOOSE THE DEAL AND COMPARE PRICES. 1 EACH GOLD HANDLE AUTOCLAVABLE ADSON BROWN TISSUE PLASTIC SURGERY FORCEP 4.75" STR. EXCELLENT QUALITY GERMAN STAINLESS STEEL. Satin Finish GOLD HANDLE (Actual Picture Of The Product). AVON SURGICAL. •Material : Stainless Steel. · We Try Our Best To Describe The Products As Accurate As Possible. AN EXCELLENT ITEM. •Usage : Left Hand or Right Hand. •CE Mark : Yes. •QC Passed : Yes. •Gold Platted : No. Bite: 7mm X 3mm - 9" Shaft - Gold Handle with Lock. FEATURED PRODUCTS. Other Categories MAIN PRODUCTCATEGORIES. Always Best Quality! HIGHEST PRODUCT QUALITY. WHYCHOOSE US ?. 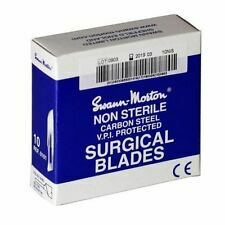 5 EA SURGICAL STERILE BLADE #10. 5 EA SURGICAL STERILE BLADE #11. 5 EA SURGICAL STERILE BLADE #12. 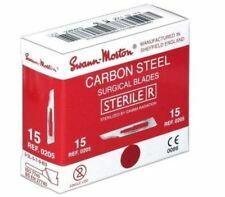 5 EA SURGICAL STERILE BLADE #15. 5 EA SURGICAL STERILE BLADE #16. 5 EA SURGICAL STERILE BLADE #20. 5 EA SURGICAL STERILE BLADE #21. QUANTITY: 1 pcs straight and 1 pcs curved. Trending at $4.46eBay determines this price through a machine learned model of the product's sale prices within the last 90 days. Five Piece Nasal Set. 1 Billeau Ear Loop - Small. 1 Billeau Ear Loop - Large. Dwyer Photophilic Pressure Switch / Gauge Series 3000 NIB. Stainless Steel. 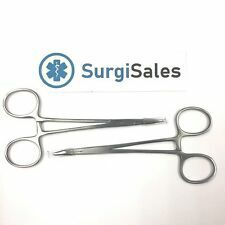 1pc 8" Straight Hemostat. 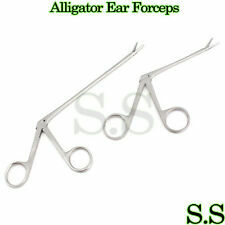 Ultimate Hemostat Set 6 Pcs Ideal for Hobby Tools Electronics Fishing Stainless.